The Ionian Sea is filled to the brim with history, as well as an unforgettable allure and beauty! Your destination set, your heart ready to explore the gorgeous coastlines and islands that lay waiting in the Ionian waters, it’s time to look into the best way to experience this incredible holiday. A yacht charter, or a flotilla charter to be specific, is an excellent way to see the landscapes and have an amazing time on the waters of the Ionian Sea! There are plenty of options available when it comes to choosing the right flotilla company for your journey. One of the most important things to remember, however, is keeping true to your responsibilities to traveling the planet in ways that will be sustainable and responsible. 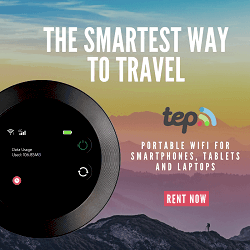 There are plenty of ways to be kind to the environment and responsibly green while traveling, and if you commit to putting these helpful tips into use on your next holiday, you’ll stay eco-conscious and have a fun journey! Setting Up to Set Sail The Ionian Sea! Before you even leave on your holiday, there are plenty of ways to start off on a more eco-friendly path. The steps you take during your planning, packing, and initial traveling stages are going to get you off on the right foot! Whether you stay for one week, or travel around the islands for an extended period of time, the duration of your stay is incredibly important for your environmental impact. This can also help you pack more sustainable products to last your entire journey. Your packing list should include a reusable water bottle, environmentally friendly utensil options, plastic free travel containers, eco-friendly travel gear, and whatever you feel will help you to lower your carbon footprint as you travel. When initially planning exciting Ionian Flotilla holidays, take into consideration how you’re going to travel to the beautiful Greek coast. Train travel is considered to be the most eco-friendly form of transportation. However, if you need to cross the Atlantic, or make your way from Australia, then flying is your only option. In that case, keep your flights to a minimum if you can. Lowering your carbon footprint and finding more sustainable avenues for travel will not only help our planet, but it will also allow for you to have a more enjoyable holiday knowing you’ve done as much as you can to be more green! Being a bit more specific and breaking down your daily routine, and the various adventures you may have on the flotilla, will also help you to plan more extensively. Focusing on the duration of your holiday, you can delve into the pros and cons of a long journey versus a short holiday. 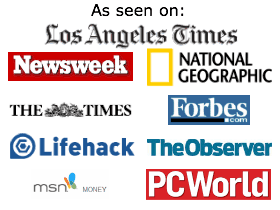 Thankfully, there are plenty of options as far as the length of your flotilla holiday. 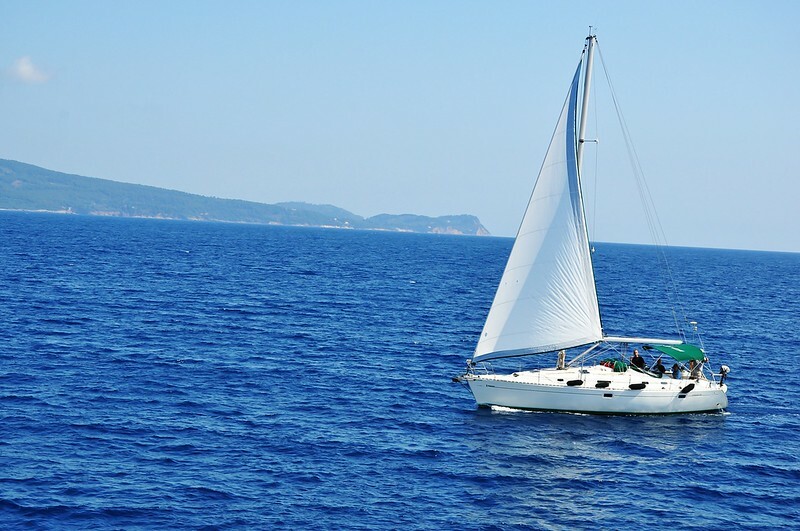 There are lots of fun activities and sailing experiences to be had on the Ionian Sea. The time you choose to spend on holiday will be a huge factor in how little or large your carbon footprint is on the planet. Whether you’re traveling during a busy holiday season with the whole family, or taking some time with a small group of friends, there is a lot of things to consider when talking about the length of your holiday! Knowing what to expect with these various itineraries is going to be extremely important for planning how to be eco-conscious. You can take two weeks to ski, kayak, paraglide, or you can spend a single week hopping from one glorious island to the next. Booking your holiday to be all-inclusive, while still keeping the planet in mind can make all the difference! There are tons of ways to make your holiday greener when it comes to food and drink. While traveling around the islands of Meganisi, Ithaca, and Cephalonia, you’ll be able to buy local produce, eat at local eateries, and make eco-friendly choices when it comes to the food you carry on the flotilla with you. No matter where you are in the world, by eating locally sourced foods, you’re helping to reduce your carbon footprint! If you’re wondering why you should eat locally, there are plenty of ways that your health and the planet can both benefit from local produce and meats. You can help to reduce emissions levels by cutting down on the transportation of foods from faraway places! Sailing on a flotilla will also be extremely eco-friendly in that your primary means of fuel will be wind! Of course, there may be a day or two where mother nature has her own plans, and in those cases, you will need to use a fuel engine. There are however, ways to make using a fuel engine a little more environmentally sound. Oil leaks, gas drainage, and fuel pollutants can not only harm the fish in the water, but birds, large marine animals, and all sorts of coastal wildlife. 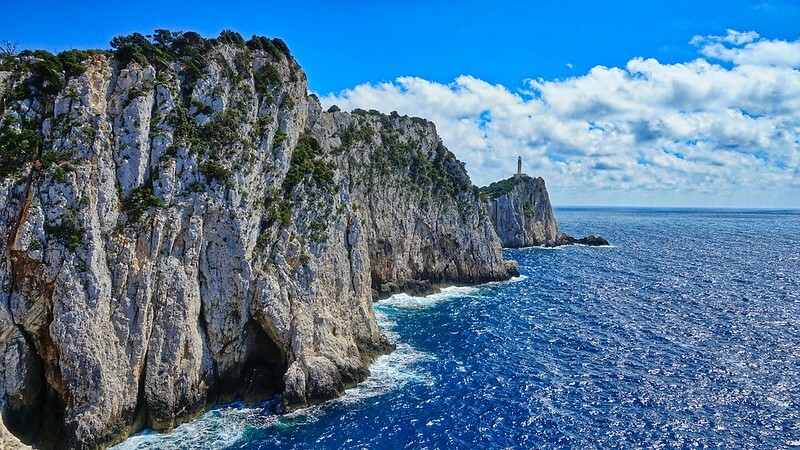 By traveling around the Ionian Sea for a few weeks, island-hopping and enjoying the beautiful scenery via sailing, you’re managing to travel in a green way! If you decide to spend a day or two on mainland Greece, then make sure you travel primarily by train! Avoid unnecessary air pollutants with planes and automobiles. That way you can spend your days shopping, eating amazing Greek foods, and truly enjoying your holiday! Choosing the right hotels in the different ports is a big part of making your sailing experience more environmentally sound. Traveling around Lefkas and Kastos will not only allow you to immerse yourself in the wonders of Greek culture, but you can also find yourself spending the warm nights in a green hotel. Green hotels are known around the world for providing services that will not only give you a relaxing stay, but will also help to lower your environmental impact while being away from home. If you’re booking your flotilla holiday through an agency, you can request that they book you at green hotels throughout your vacation! If you can’t find anything local, then you should travel with your own environmentally responsible toiletries and travel gear to help break a wasteful cycle. That way you also know exactly where all of your products come from, what they are made out of, and their production impact on the planet! 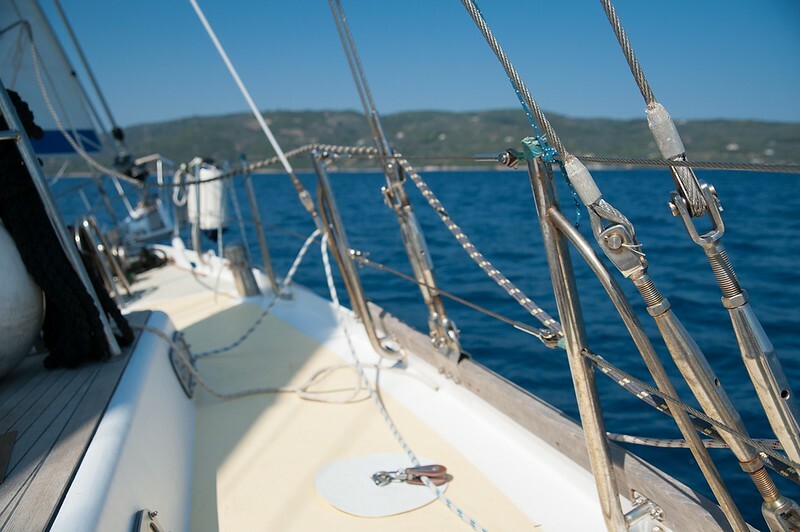 Enjoy Your Unforgettable Sailing Experience on the Ionian Sea with These Green Tips! Whether you’re looking into green hotels, finding locally sourced foods in Greece, or sticking to eco-friendly modes of transportation, you can follow these easy tips to fully enjoy your holiday! 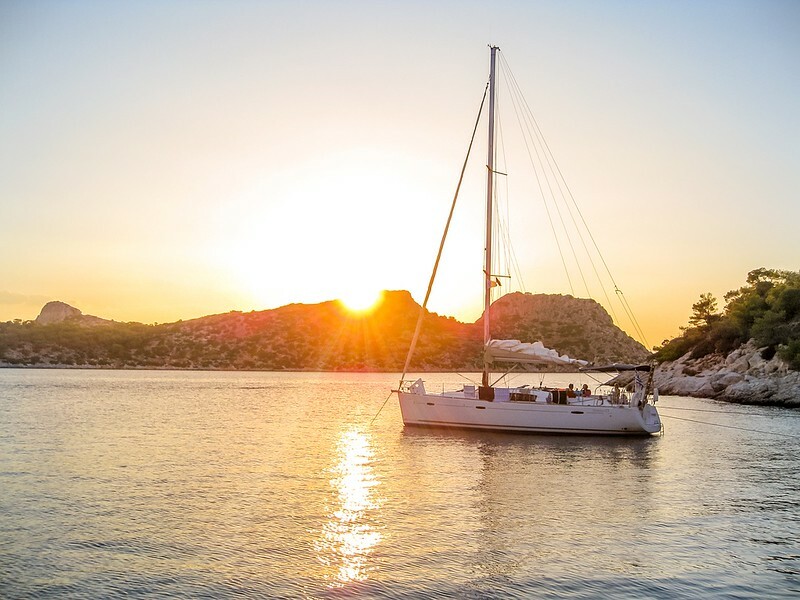 Set sail on an unforgettable sailing holiday on a chartered flotilla on the Ionian Sea! You can relish in the once in a lifetime views knowing you’ve done everything in your power to travel green, and keep those enchanting landscapes safe for generations to come!